A curious seagull, appearing eager to find out who will be elected pope, became a Twitter sensation after it spent several hours on top of the Sistine Chapel's chimney. At first, the chimney's (unofficial) Twitter account was not amused with the new neighbour. 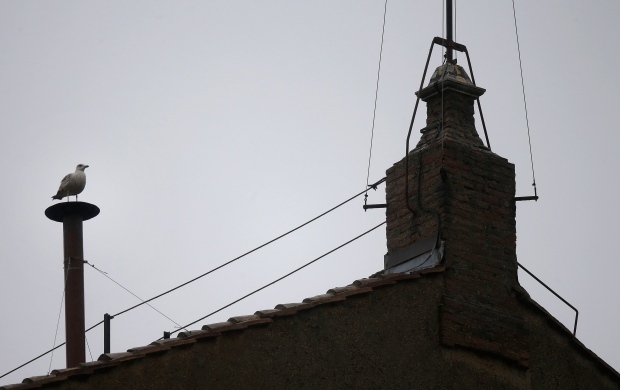 The bird- which has at least one parody Twitter account - explained why it decided to spend time on the chimney. Twitter users weighed in on the seagull's prime position at the Vatican, poking fun at the process and the bird. Some asked if there could be a connection between the seagull and the future pope. At times, the seagull would fly away, leaving eager chimney viewers anxious for the bird's return.